Winterford knew there was a Miniafia speaker living on the base at the Youth with a Mission (YWAM) center in the town of Lae, so he downloaded the Jesus Film in Miniafia to share with her. He had just completed the download when a lady in her late 70’s arrived with her daughter to visit the YWAM office. When Winterford found out that his visitor’s first language was Miniafia, offered to show her the Jesus Film. As she watched the film and heard Jesus speaking her language, tears began to trickle down the face of this elderly lady. She requested, “I would like to have a copy of this to take to my village.” Winterford said to her daughter, “Please ask your husband to download this off the internet so that she can take it back to her village and show it to the people of her generation.” Her daughter was happy to do just that. 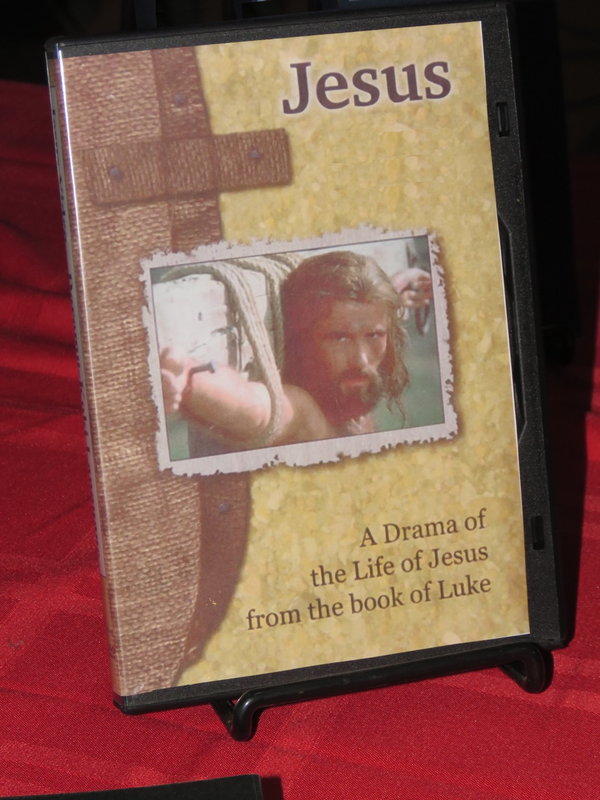 The Jesus Film was produced by Cru. 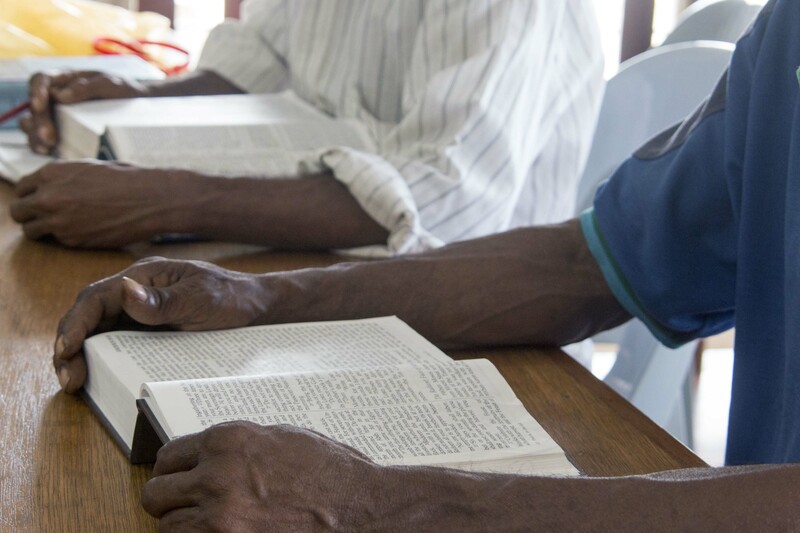 The Gospel of Luke was translated into the Miniafia language by the Bible Translation Association of PNG. This translation became the basis of the script for the film, recorded by a media specialist. The completed DVD was shown to one very grateful Miniafia lady by the YWAM director. Partnership. That’s the best way to get God’s Word to the people in Papua New Guinea. Each one uses the gifts, skills, and passion given to them by God. Together we will see God’s Word reaching every language, every heart. Prisila was born into a world of colour. She could gaze at the Pacific waters surrounding her small island home of Patexux and see the coconut palms swaying against the vibrant blue or cloudy skies. 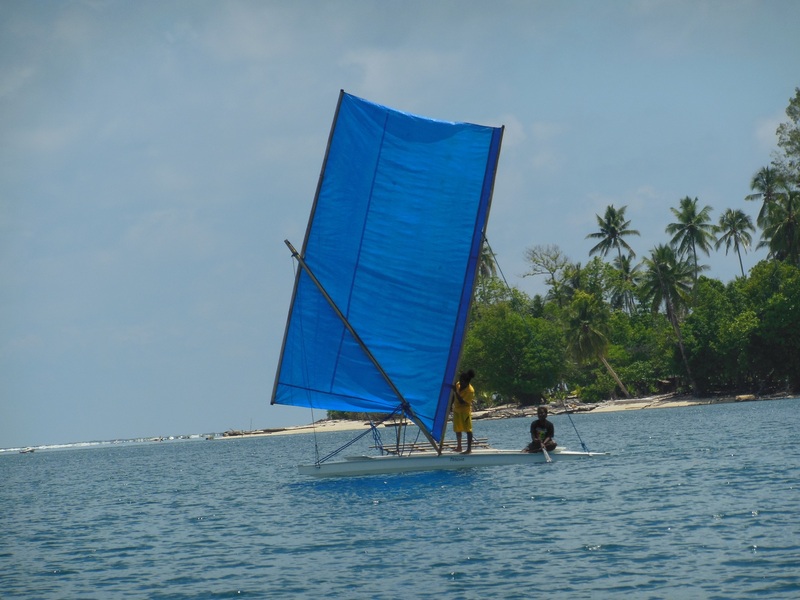 She could watch stunning sunsets on the horizon and sailing canoes as they pushed over the breaking waves of the reef edges. However, through her growing years an undiagnosed eye condition robbed her of this colourful world and eventually Prisila was forced to drop out of school. With Theresa’s previous experience teaching the visually impaired, she knew that Prisila could in fact do a huge amount and should not be pushed aside. She invited Prisila to participate and encouraged the others to help her participate too. Prisila’s involvement and learning with the group soon brought back her beautiful smile and her lost confidence. Prisila quickly found ways to help others in spite of her loss of vision. She encouraged primary school children in reading, contributed stories about village life to make new reading books, and blended her beautiful singing voice in the wonderful harmonies of Seimat Scripture songs composed in recent years. 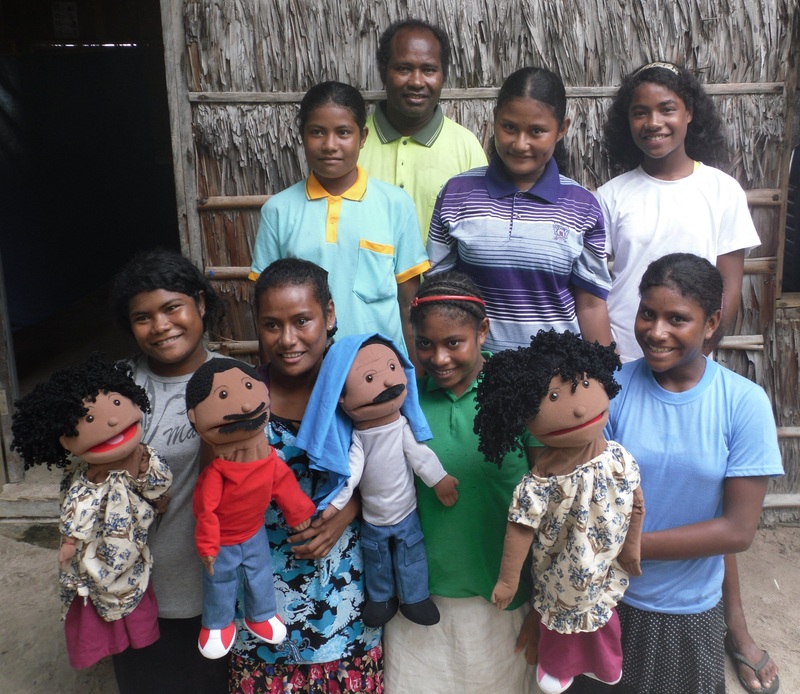 In addition, she rose to the challenge of joining in a puppet drama for Sunday school children. On the day of the dedication of the Seimat New Testament, Prisila was one of two young people chosen to open the boxes of New Testaments. She wouldn’t be able to remember the sight of the event, but she would remember opening and holding up God’s book. In the months and years after the dedication, Priscilla listened attentively while adults and school children held reading competitions and while the Scriptures were read aloud during weekly church services. One Sunday she astounded all the listeners as she clearly and fluently recited a long passage of Scripture from memory. Undeterred by her loss of sight, Prisila continues to show her concern for others and to use her keen mind and musical talent to bring colour to her island community today. The team departed for the village at 5:30 Thursday morning. The first thing the team leader said was, “We can pray that the truck will be there when the plane lands.” Knowing there would be obstacles ahead, the team proceeded forward with prayer and a sense of excitement. As the journey developed they began to gain confidence that they would arrive at their destination and so began sharing stories of times when they nearly did not: stories of river crossings, nearly losing a vehicle, planes being unable to land on the airstrip, and more. Having arrived safely in the village, the team leader, Ben Pehrson, told his fellow travelers, “I’m hopeful that we can begin the translation workshop by Wednesday.” There was much preparation work to be done before the team of PNG translators and their consultants would arrive. “We can expect resistance from the enemy; it is our experience that he doesn’t like what we do here and tries to interrupt it,” said Ben. The Aitape West Translation Project was about to begin final checking on I, II, III John and Jude. This is a process of working with the local language speakers and determining how to best translate each verse. When a verse is completed, a group of four languages then have that Bible verse ready for working through the next step in the process. Would all ten of the language teams arrive? Friday evening a technical problem was discovered that threatened to delay the work. With the desire to start translation on Wednesday, the team worked tirelessly through the long nights, the weekend, the heat, and the frustration, and were ready to begin on schedule. On Sunday the additional team members began arriving from their villages, each having traveled a long journey to get there, some walking for an entire day to arrive on time. God was clearing obstacles as they surfaced. Two of the translators came to the team leader on Tuesday and explained that a dear friend and family member (and former translation team member) had died in the night. The men were torn as they felt they needed to return for the funeral, but also knew that their participation in the workshop was very important. They asked Ben what they should do. All the men from that language community left for the funeral the next morning, being unable to leave that evening because the river has crocodiles and it would be unsafe to pass until they were gone. “We don’t expect they’ll be back in less than a week, and will miss out on a lot of work, but we’ll figure that out when they return,” mused language consultant John Nystrom. Thursday evening the men who had departed for the funeral returned more quickly than expected. However, that same evening another translator, Petrus, visited Ben and asked for prayer. The team staff assembled to pray for him. To come do this work, he had to leave his wife alone in the village. His brother was away and so was he, so there were no men there to protect her. An issue had come up that made her feel threatened and she was asking for him to return to resolve the problem. Petrus was distraught because he knew his departure would slow down translation work, but he also had family duties and responsibilities. The team prayed with Petrus and asked God to give him wisdom in making the decision. He decided to stay until the weekend, during which time they finished I and II John and half of III John. Another man fell sick during this time, temporarily leaving one more gap in the translation team. For those laboring in Bible translation, each day reveals new obstacles and surprises, any one of which can halt or slow the translation process. The team leaders have come to expect this style of living and working, and adapt where they can, knowing God is in control. “What astounds me is that through all the surprises, the Lord is faithful to keep progress moving on the translation and providing us with the strength to continue,” John said as he reflected on the workshop. In Morobe Province, rugged mountains ascend more than 13,000 feet above sea level within just a few miles of the ocean. Those mountains, laced with countless rivers and waterfalls, mean that the homeland of the Nukna people is accessible only by steep, narrow foot paths or by helicopter. Pilot Gavin Jones has been well trained in navigating a helicopter over and through these mountain chains. As he approaches, he must take into consideration not only the steadfast mountains, but also the ever-changing wind and cloud conditions. In May, he flew seven people to the Nukna language area for the weekend. 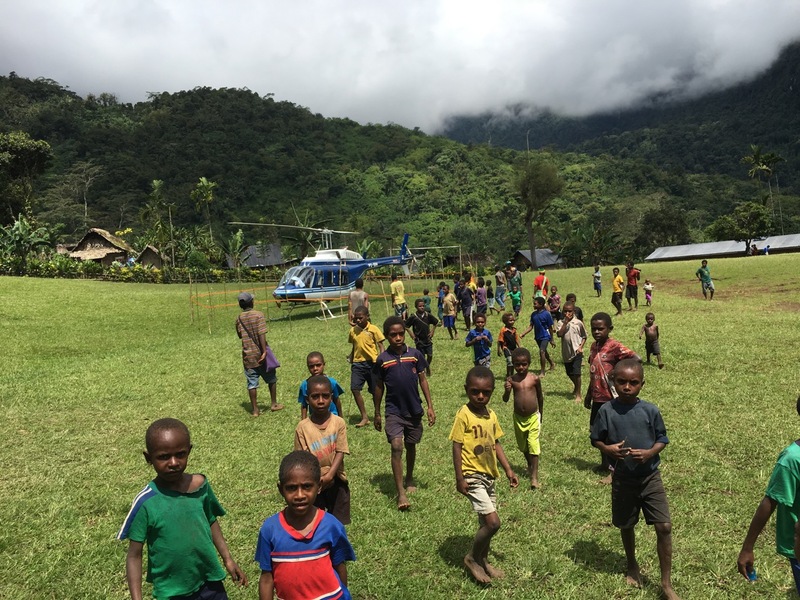 Even though the Taylor family has arrived by helicopter many times over the past 13 years, each time is a cause for excitement in the tiny village of Hamelengan. On this particular occasion, the passengers came for a special celebration, the dedication of Luke and Acts in the Nukna language. As the festivities began early the next morning, Gavin looked around on a crowd of several hundred people who had hiked over the mountains to celebrate the recently completed Scriptures. They listened attentively to the speeches and tapped their feet to the rhythm of the music as worship leaders adorned in strings of small shells sang and beat their drums. However, the event that evoked the most response was when translator Matt Taylor rose to address the crowd. The Nukna people yelled out with enthusiastic voices as they listened to Matt speaking their language. Following the ceremony, Gavin had the privilege of uploading audio Scriptures for those who requested it. Some people already owned Audibibles with the previously recorded books of Mark and Ruth on them. As they handed their well-worn players to Gavin, he updated them to include Luke and Acts. Some of the young people purchased SD cards with the audio Scriptures that could be played on their phones. Nearby, written versions of these Scriptures were available as well. As the blades whirled and the helicopter rose above Hamelengan village the following morning, Gavin circled the aircraft past cascades of water falling from sheer rock cliffs. 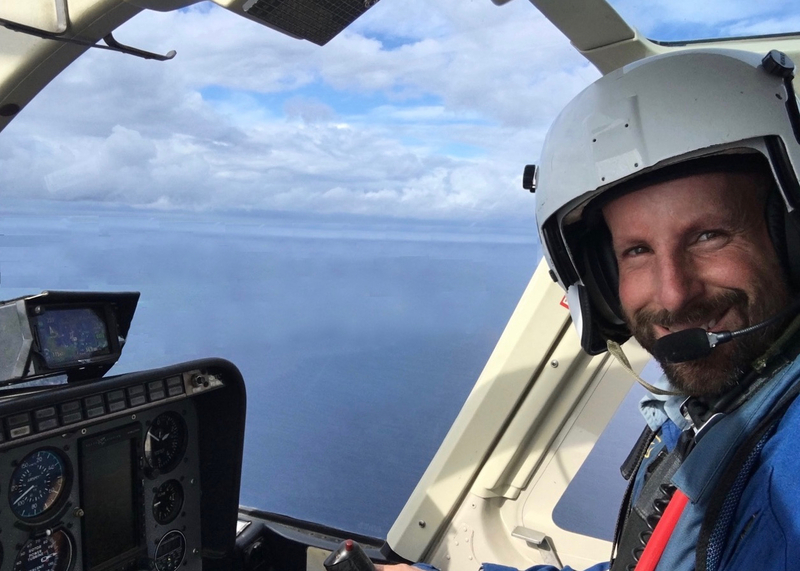 He was thankful that his years of training and experience as a helicopter pilot had allowed him be part of bringing the life-giving message of the gospel to people hidden within these mountain ranges.